For everyone in search of the silence of Mother Nature away from the busy ski slopes, snowshoeing is the ideal alternative. For centuries, hiking with snowshoes has been the only way to get around in deep snow. Expert tips from a local guide will help you better navigate the deep snow as you use two modern, lightweight snowshoes and two poles to trudge through the white countryside. Guided tours amid the natural landscapes of Hohe Tauern National Park, the biggest nature sanctuary in all of the Alps, guarantee unforgettable moments spent amidst the tranquility of pristine countryside. There is also a new snowshoe trail in Dorfgastein, which runs from the Fulseck to the lift mid station, taking you on a beautiful hike with impressive views out across Gastein Valley. 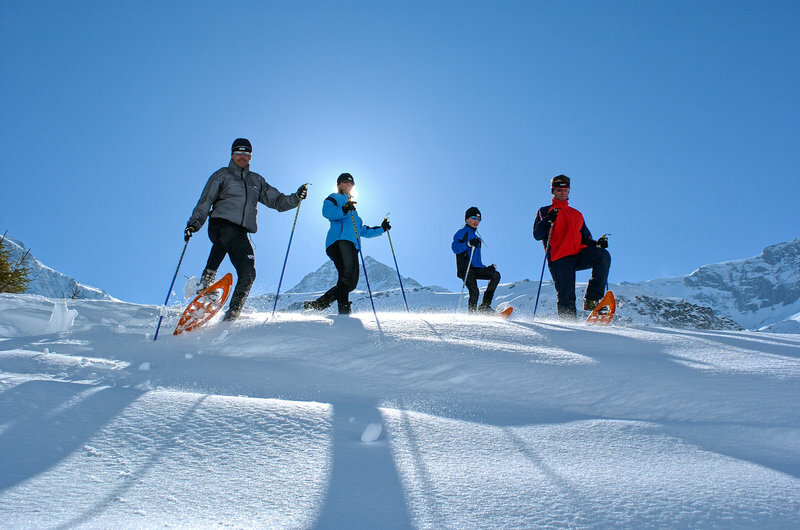 Snowshoeing doesn’t require any particular previous experience, and can easily be picked up by everyone.